Mentioned below is a list of information pertaining to the launch details and the primary objectives of the Mukhyamantri Alpsankhyak Kalyan Yojana. Eligibility Criteria of the Mukhyamantri Alpsankhyak Kalyan Yojana. Poor Muslim Families belonging to the Minority Section – The beneficiaries must belong to a poor Muslim family of the minority section in order to get the beneficiary medical treatments. 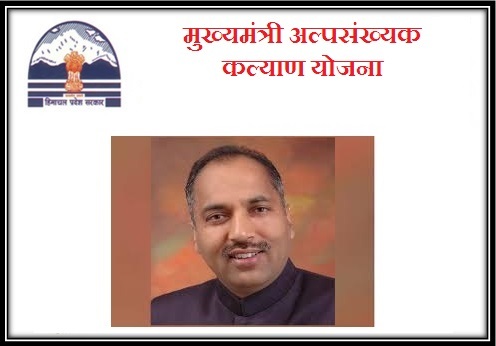 The family must not be acquainted with any Government jobs – If the Muslim family is connected with any public sector, then that particular person is not eligible for the Mukhyamantri Alpsankhyak Kalyan Yojana. Mentioned below is a list of the financial criteria of the Mukhyamantri Alpsankhyak Kalyan Yojana. Appropriate for Muslim Girls – Through the Mukhyamantri Alpsankhyak Kalyan Yojana, the State Government has decided to provide a whopping amount of Rs. 25000 for the marriage of the girls belonging to the Muslim families. So if the person is not from a Muslim family, then the Mukhyamantri Alpsankhyak Kalyan Yojana is not appropriate. Applicable for Poor Muslim Families – The Government of Himachal Pradesh is going to provide some financial support for the medical treatments of the Muslim families only. The eligible candidate must belong to a Muslim family to get the benefit of Rs. 5000 by the Government. Valid for Widow, Old, and Disabled Muslims – The State Government of Himachal Pradesh is set to offer Rs. 400 per month to the old, disabled, as well as the widow belonging to the Muslim families. The beneficiaries must belong to a Muslim family for availing the aforementioned benefit. Additionally, the cabinet committee has recently declared that Social Security Pension will be available for the ones who have crossed 70 years of age. How to Apply for the Mukhyamantri Alpsankhyak Kalyan Yojana? To apply for Mukhyamantri Alpsankhyak Kalyan Yojana, one must wait for the final approval from the State Government. The scheme also aims at providing necessary facilities for Muslim Graveyard too. The Government is set to allocate land to the Waqf Board for designing new burial places for Muslims who can get buried after death. For more news about how to apply for the Mukhyamantri Alpsankhyak Kalyan Yojana, one must wait for the final approval shortly.